In this section, I’ve outlined a few lines of research that I’m currently pursuing. The striatum is the input structure of the basal ganglia. Ventral and dorsal portions of this structure can be distinguished on the basis of subtle cytoarchitectural differences and separate cortical, limbic, and dopaminergic afferents. Our research uses patients with Parkinson’s disease (PD), who have more dopamine-depleted dorsal compared to ventral striata or with focal ventral or dorsal striatal lesions, as well as functional magnetic resonance imaging to investigate the distinct cognitive functions mediated by these regions. There is increasing evidence that vision and visuospatial processing is impaired in patients with PD. We’re beginning to investigate the nature and extent of these abnormalities in PD patients at different stages of disease and whether dopamine and dopaminergic treatments are implicated in these deficits. PD, LBD, PSP, CBD, and MSA are akinetic-rigid movement disorders characterized by tremor, bradykinesia (slow movement), hypokinesia (reduced movement), rigidity, and balance impairments. Basal ganglia dysfunction is implicated in these disorders, presumably the basis for common movement symptoms. For all but MSA, cognitive dysfunctions are now recognized. Just as the nature, expression, and degree of movement symptoms, as well as response to treatment, differ among these disorders, the cognitive symptoms also appear to diverge. 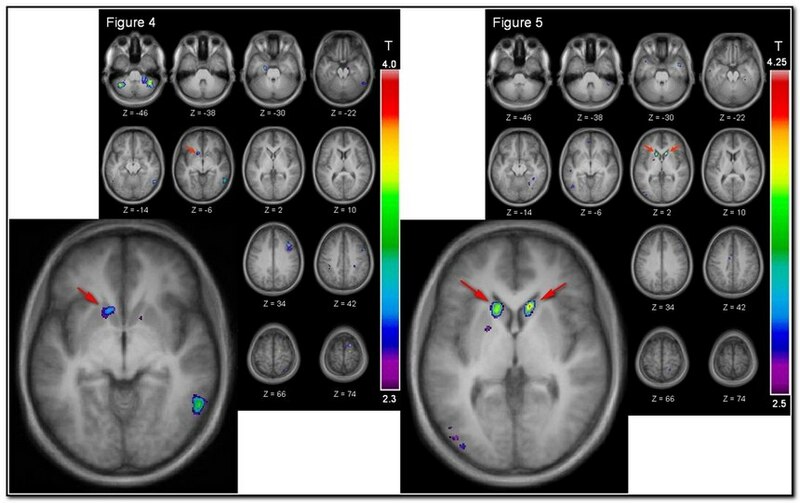 In addition to distinguishing the specific cognitive impairments, another aim is to uncover differences in the patterns of brain activation that might underlie behavioural discrepancies among these akinetic-rigid syndromes using functional neuroimaging techniques. Patients with Parkinson’s disease experience high rates of depression, anxiety, and at later stages of the disease, experience psychotic symptoms such as delusions and hallucinations. These psychotic symptoms also can occur as a result of dopaminergic medications given to address movement abnormalities. 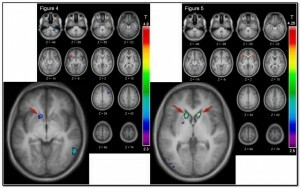 Using functional neuroimaging techniques to compare resting state and function-related brain activation, we aim to understand the neural bases for psychiatric symptoms in PD. Further, research is showing that dopaminergic medications modulate symptoms of depression and anxiety. Our intent is to investigate changes in brain activity produced by these medications that associate with the experience of psychiatric symptoms.